This society was created by Khen Rinpoche Nyima Dondrup in 2010, to provide teaching of the Buddha-Dharma. 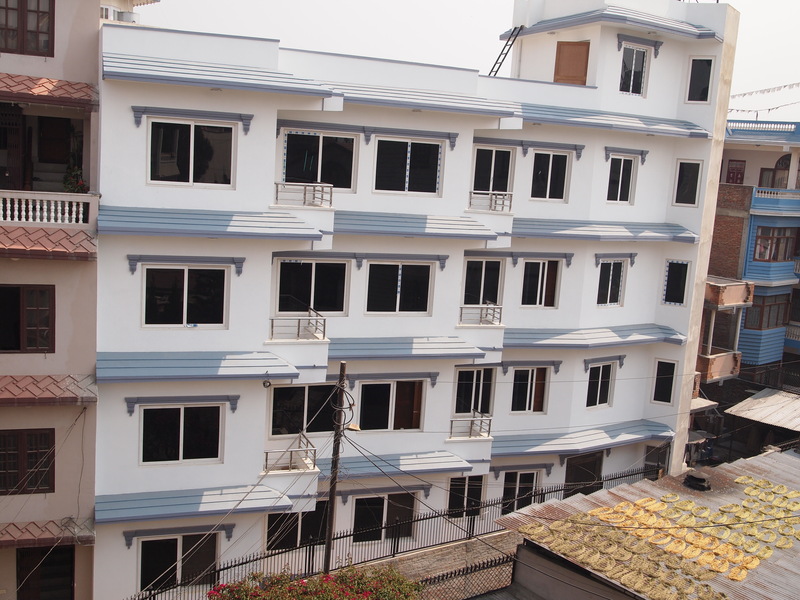 It is registered for this purpose in full accordance with Nepalese government regulations. 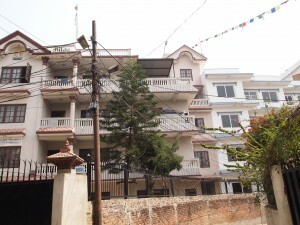 The school is located in Kathmandu, the capital city of the country of Lord Buddha’s birth. 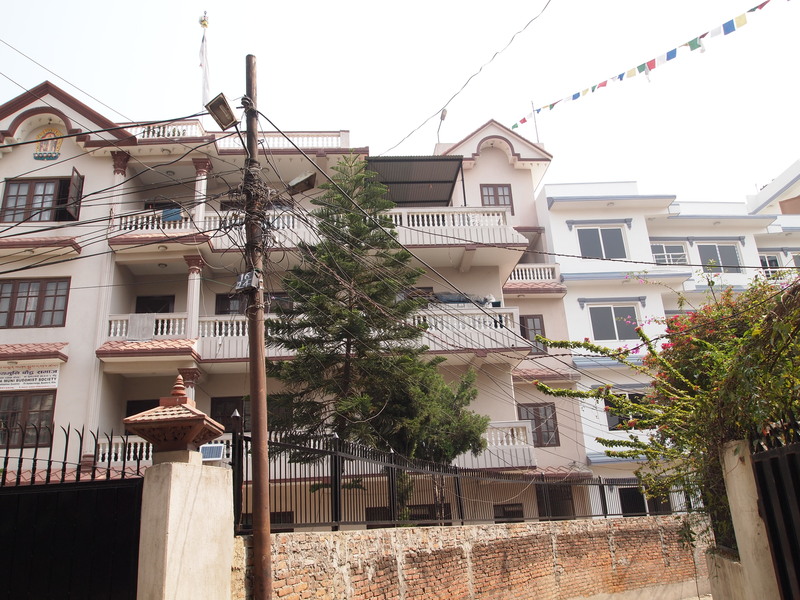 It is situated within a few minutes walk from the great Jarung Khashor stupa of Boudhanath, merely seeing which is a source of blessing. 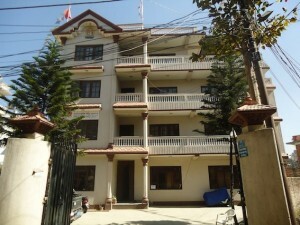 It is intended that other branches of the school will also be established in other areas of Nepal. And gain control over your own mind. The teaching given will be focussed on the practical application of this, the heart of the Buddha’s teaching. This comprises the methods enabling the abandonment of negative actions, the accomplishment of those actions which benefit us, rather than harm us, and the taming of our disturbing states of mind. Since these methods must be learned through the triple practice of learning, analysing and meditating, we must first rely on the study of the teaching to provide a basis. In this time of degeneration, because of the power of negative karma, many external difficulties, such as earthquakes, floods, forest fires, hurricanes, epidemics, wars and the like are increasing. The Buddha’s precious teaching, which is the path of non-violence, is a source of both temporary and ultimate benefit for the entire world. Our aim is to prevent it from disappearing, and to cause it to increase and develop. Our intention is also that all sentient beings, who have all been our previous mothers in our endless cycle of rebirths, may become able to find the inner peace and experience the joy and happiness which this precious teaching can provide. The teachings are available to all, without any discrimination on the basis of nationality, community, age, gender and so on. 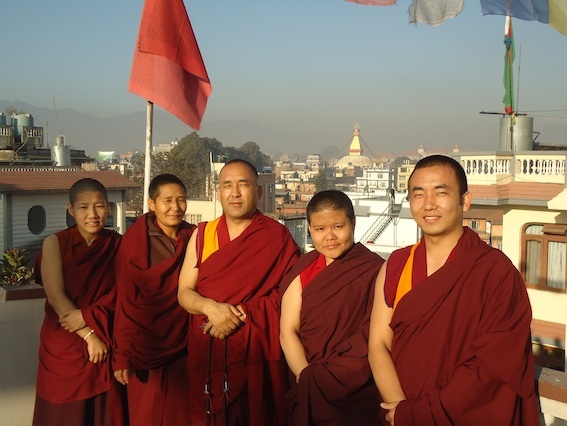 Each person, man or woman, lay or ordained, who wishes to study and practice the profound Dharma is welcome in our school. 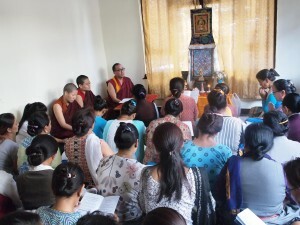 The teachings will be given in Tibetan, Nepali, English and so on; to facilitate this, classes in reading and writing Tibetan and in Tibetan grammar, will also be given, as well as English language classes. Our teachers are qualified and experienced Khenpos and Lopons – and are both monks and nuns, which we hope will make learning easier for both the male and female students. 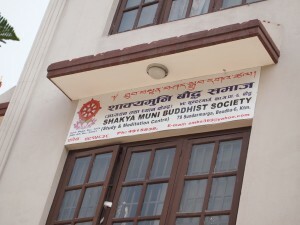 There are no fixed fees for those who are interested in studying the Dharma in our school, yet offering of donations towards the maintenance of the school is welcome. 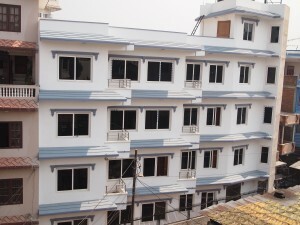 There are many on-going expenses which must be regularly met, such as the rent of the premises, the accommodation, food and salaries of the staff, provision of water, electricity and so on. Khenpo is also planning to build a retreat centre in Beyul Yolmo Gangra which is the hidden holy place of Guru Rinpoche and holds Milarepa’s cave. 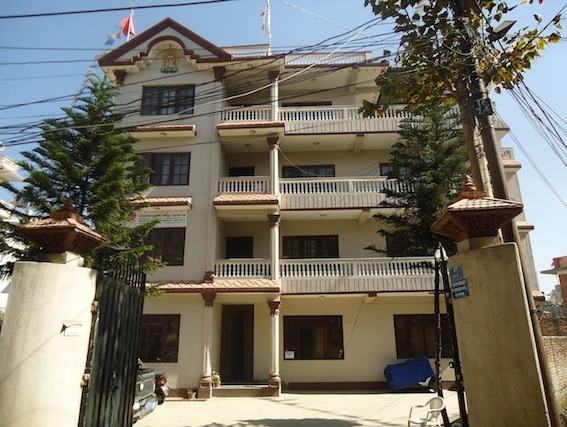 We would like to request those who have the capacity to utilise dream-like wealth and who have the power of faith and generosity, to support this school as Dharma friends and sponsors; our organisation will be dependent on donations for the running of the school. We will be happy to make prayers in the name of all those who support us. In the regular morning and evening prayers and on the special days such as the full moon, and the tenth day, we will dedicate merit and offer wishing prayers for those who have left this life. We will also do this for others who are facing difficulties, or are troubled in body or mind by sickness, so that their obstacles may be removed and not only that, that their lifespan, merit, wealth and material resources shall increase and all their wishes be quickly fulfilled. To this end, we will perform the rituals as extensively as possible. Great news! As you can see below the school has been built and is no longer a building site. We look forward to seeing you!